Founded in early 2003, NDR Consulting GmbH is a Limited Liability Company (GmbH) with office in Thun, Switzerland (local.ch). The company is providing services in the field of Disaster Risk Reduction and Climate Change Adaptation, focussed on the management of risks from natural hazards. Services are provided to national and local governments, to international organisations or to private companies in Switzerland and overseas. Markus Zimmermann (CV), the company owner, has gained his expertise and experience in research and practical projects on natural hazards, vulnerabilities, risks and disaster risk reduction. He has a multi-year experience in teaching university students as well as technical personnel and community leaders in the management of risks from natural hazards and the reduction of disasters. He is a permanent lecturer at Bern University, Switzerland. 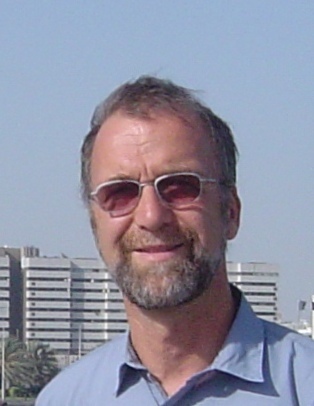 Since 1992 Markus Zimmermann is a member of the SHA (Swiss Humanitarian Aid Unit) and he is UNDAC trained (United Nations Disaster Assessment and Coordination). Since 2012 Markus Zimmermann is member of PLANAT, an extraparlamentary commission dealing with natural hazards in Switzerland. Béatrice Zimmermann (CV) joined NDR Consulting GmbH in 2004. She covers socio-cultural aspects of disaster risk reduction, in particular issues of gender and risks in Islamic societies. In addition she is responsible for administrative and financial issues of the company. Till 2006 Béatrice followed courses in Islamic and Middle Eastern Studies and Social Anthropology at the University of Bern. Her master thesis covered aspects of the transition of Ismaili societies in the Tajik Pamir (paper). Béatrice Zimmermann completed her PhD about Central Asian Muslim’s perception and interpretation of nature and their approaches to today’s environmental risks in 2016 (Abstract and Fulltext on BORIS: https://boris.unibe.ch/107442/). Michael Zimmermann is responsible for the website, the maintenance of the computers and the review of papers written in French. The company maintains close ties with a number of partners, in particular with Gabi Hunziker of Hunziker Gefahrenmanagement. As geologist, Gabi Hunziker brings in experience in hazard assessment as well as the use of Geographical Information Systems (GIS).